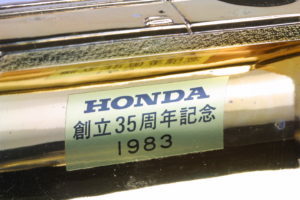 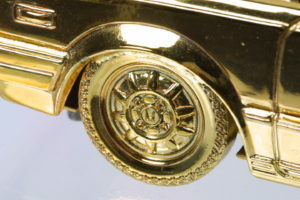 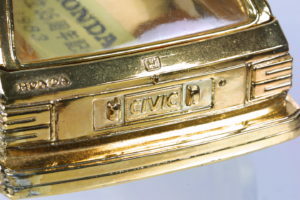 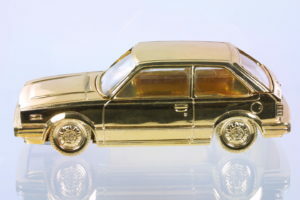 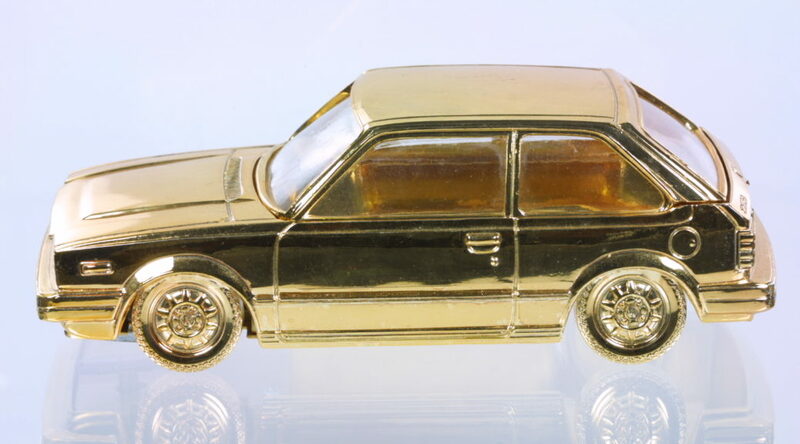 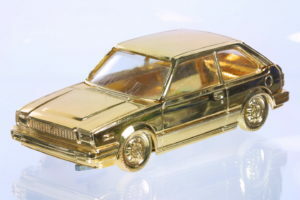 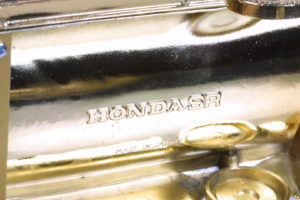 This is a rare 1:18 scale 1983 Civic GL gold plated cast with music box functionality and also doubles up as a cigarette holder. 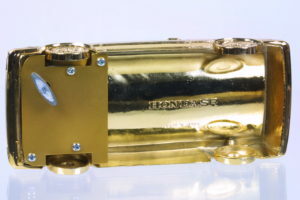 Weighing in at about 2 lbs, this is a heavy model. 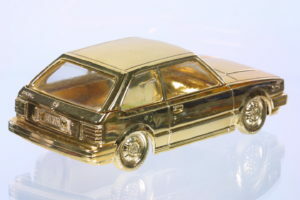 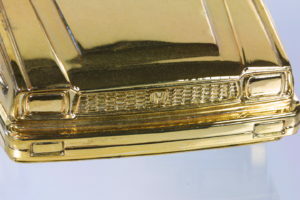 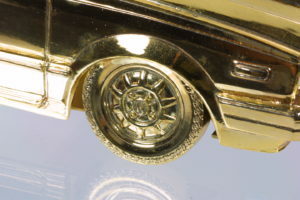 The top half of the car is removable to expose a cigarette tray. 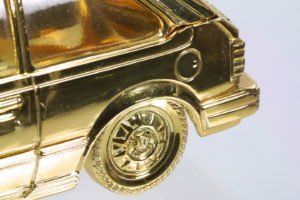 Lifting the top also makes the wind-up music box operate.